After our previous visit to Longridge I knew I needed to head back! You would have heard me rave about their amazing food and wine pairing over here! It truly is one of the best wine tasting experiences and I would highly recommend a visit on one of these sunshiney weekends! 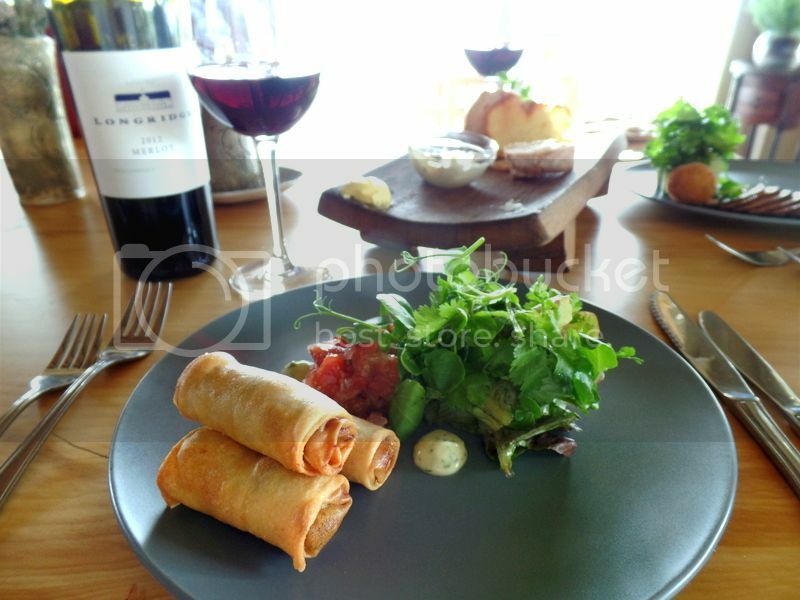 The tasting is a little board of five canapes paired with five of their incredible wines for R65! But the reason we were back this time was to try out Longridge’s beautiful restaurant! However we simply couldn’t start without a wine tasting! We both left with a case each and there was even a magnum of bubbles in the mix! We had such a fantastic tasting and were given a sneak preview on the updated food and wine pairing! Previously there was a dark chocolate orange truffle paired with their 2013 Pinotage. However, because there was a coriander and white chocolate ganache bon bon with their 2012 Cabernet Sauvignon they wanted to avoid a too similar pairing. The 2013 Pinotage is now paired with an orange zest and dark chocolate cake slice and is just delicious! We actually had to prevent ourselves from simply eating all the cake before the wine even arrived! 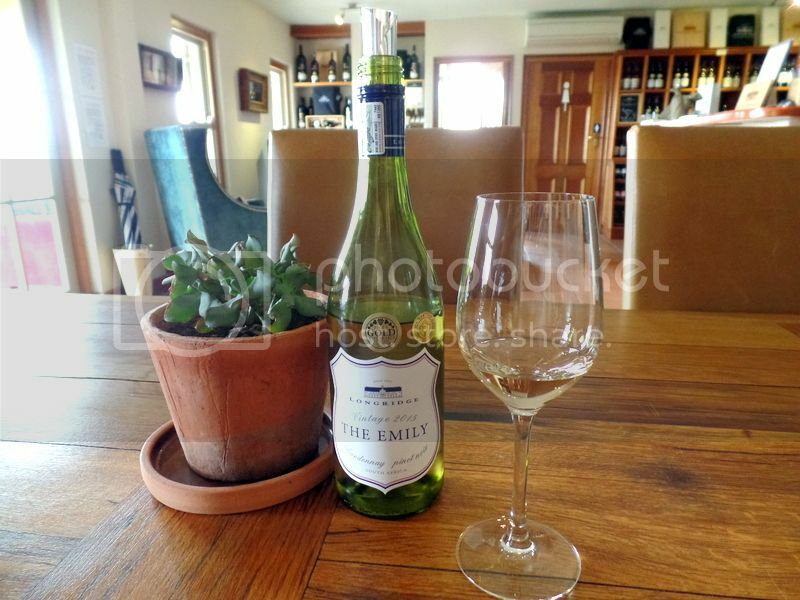 Our favourites of the tasting which we bought include The Emily which is an elegant Chardonnay Pintoage which was a serious highlight from our previous tasting. 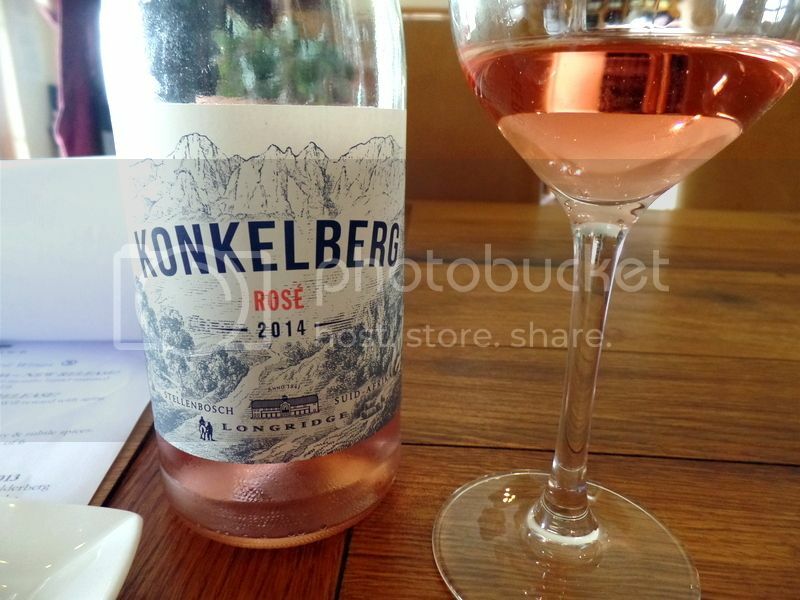 We also loved the brand new Konkelberg rose which is a gorgeous pink, easy drinking and only R50 a bottle! 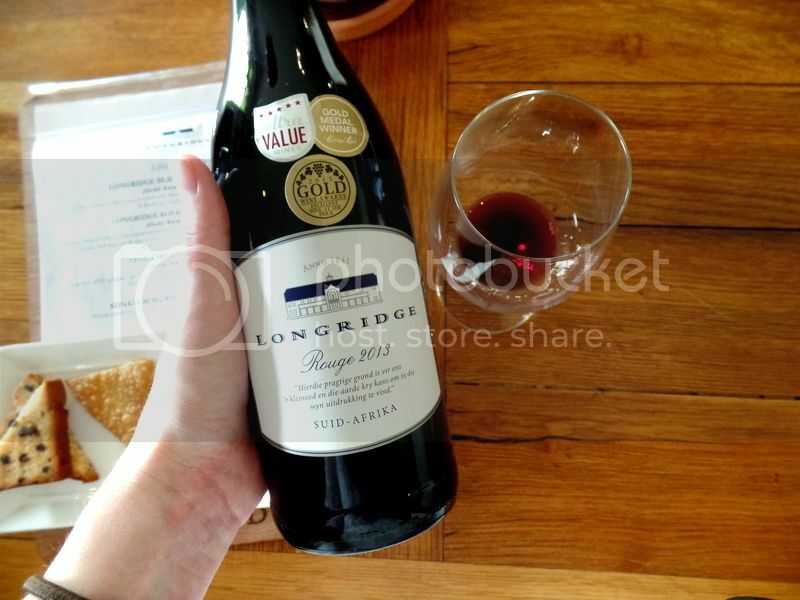 Another winner was the Longridge Rouge 2013 which was a beautiful fruity dark berry wine with a little warm spice. All of these wines were affordable and deliver well above their price point. I’m glad we have started to stock up for summer but I’ll sure we will be back before the season is out for some more of Longridge’s wines! We were in for a treat as their was a bottle of their Ekliptika open. This is a more high end bottle and whilst delicious it is a little out of my budget! This is a serious Bordeaux blend made up of the best of their Cabernet Franc, Merlot and Cabernet Sauvignon. After our wine tasting we headed over to our gourmet lunch. We started with this beautiful board of really fancy bread! I mean how is that bread shaped like a leaf! 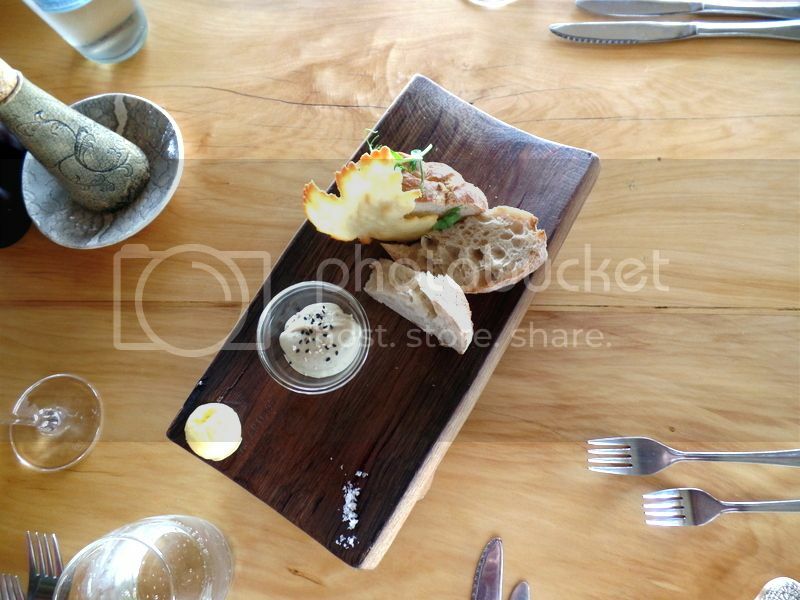 The bread board was made up of sourdough bread with baba ganoush, butter and salt. The baba ganoush was incredible and we gleefully tucked in! What was also fantastic was that they left the bread board during the starters for extra snacking! For starters we tried the wild mushroom and braised red cabbage springroll with aubergine chutney, green mayo and a baby leaf salad. These springrolls were crispy crunchy delicious and were amazing with the aubergine chutney! I’m by no means a vegetarian but I am also delighted when the veggie dishes are just as great as the others! We also had the smoked duck breast and confit duck croquette with marinated cucumber, baby leaf salad drizzled with teriyaki glaze and citrus gel which was unbelievable! The little confit duck croquette was filled with soft delicious duck and the thinnest crunchy shell! 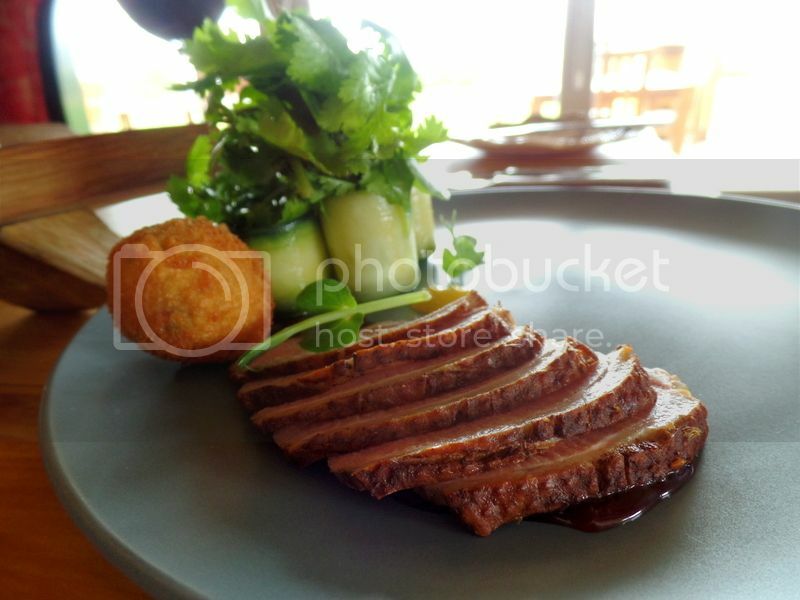 The smoked duck breast was so tender and paired perfectly with the marinated cucumber! 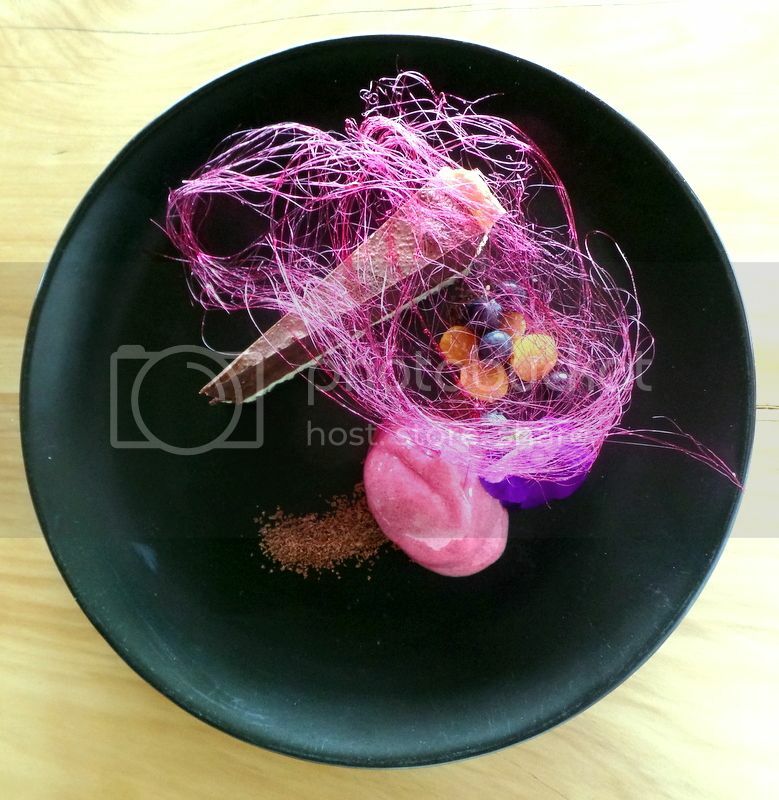 The dish is actually beautifully simple but showcases some amazing flavours and culinary talents. 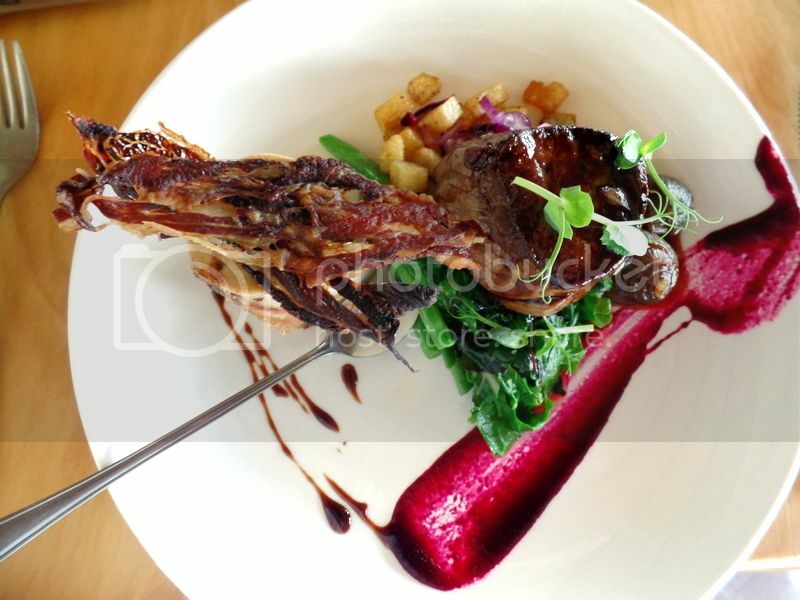 Main course was a gorgeous colourful affair! We went with the beef fillet served with a pancetta crisp, roasted bone marrow, balsalmic onions, sauteed greens and potato hash. This was an unbelievable fillet steak and the addition of the roasted bone marrow just sealed this dish as an absolute winner!! The pancetta crisp was salty and delicious and we argued over the very last mange tout (I won because I took it!). This was a truly fantastic dish and I would seriously recommend a visit to dine at Longridge based on this dish alone. 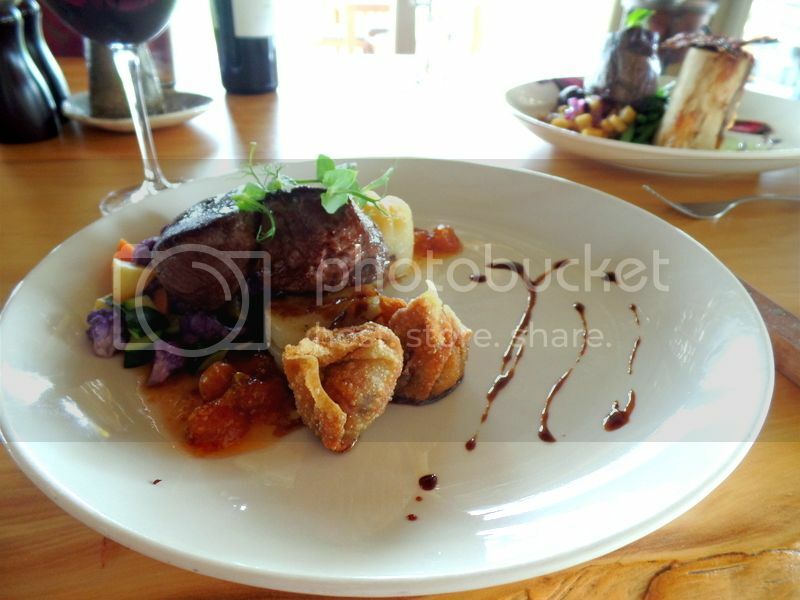 We also tried the venison trio of springbok loin, crispy braised kudu wontons and ostrich fillet on pomme anna with seasonal homegrown vegetables and gooseberry chilli jam. The serious highlights of this dish had to be the delicious crispy braised kudu wontons with the gooseberry chilli jam! Goodness those two were a match made in heaven! However I found the springbok loin and the ostrich to be a cooked a little too long for my preference making them drier than I had hoped. I should have requested when placing my order for it to be served medium rare – whereas it came served medium well to well done. I think with such fantastic cuts and types of meat it is always better to serve them undercooked than overcooked. This is a personal preference – and I will remember in future to request it cooked as such. Dessert was a bright pink affair! 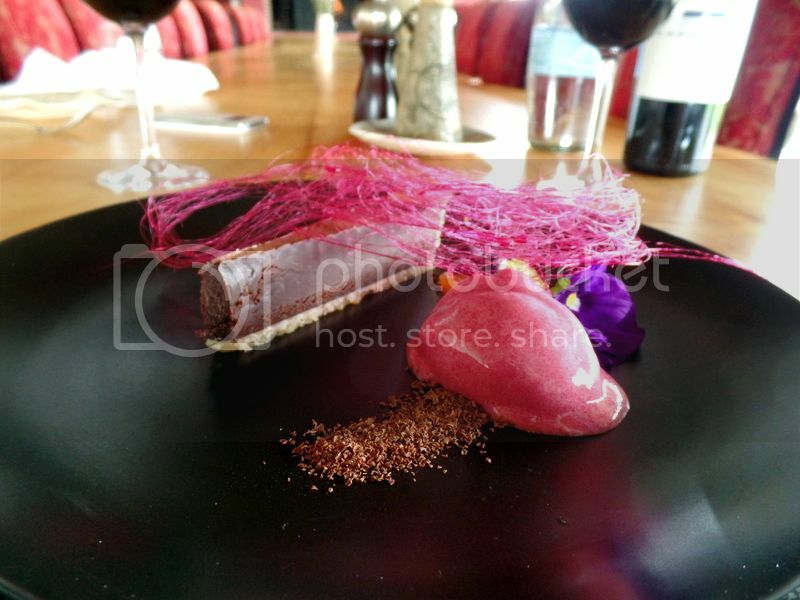 Firstly with this decadent chocolate tart with pomegranate sorbet, chocolate crumble and berry salsa. 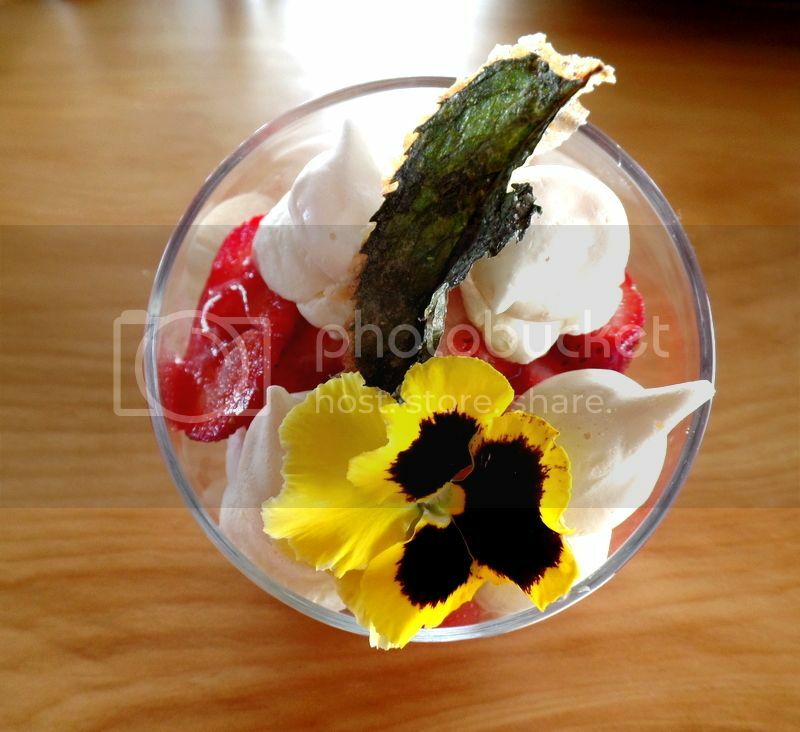 And secondly with the fresh strawberries served with sticky meringue, chantilly cream, sugared mint and berry syrup. The strawberries were amazingly fresh and sweet and curled into the glass with the sticky meringue and sweet cream made for a gourmet Eton mess! The addition of the crispy sugared mint was innovative and wonderful! The decadent chocolate tart lived up to its name and I loved the sweet tart sorbet to keep the dessert fresh! My favourite however was the gorgeous bright pink spun sugar which topped the dessert like a halo and made for messy but hilarious eating! 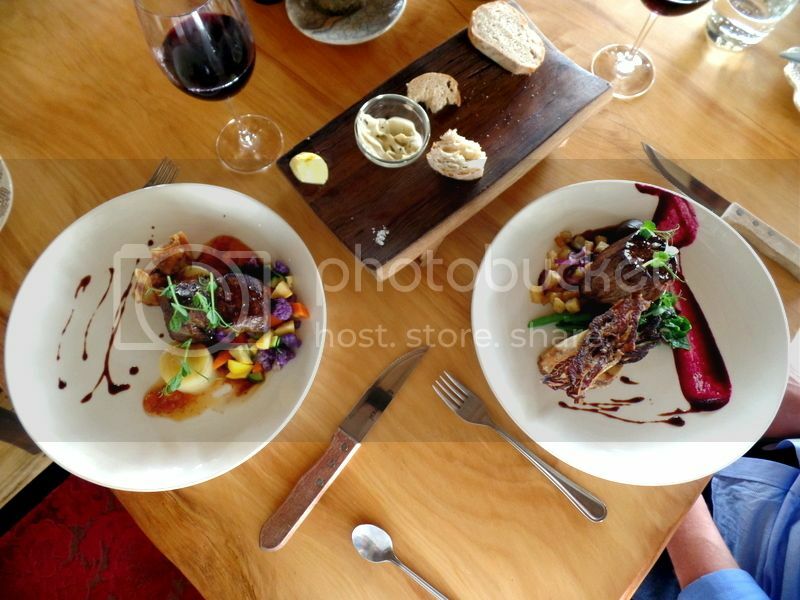 We had an amazing lunch with gorgeous food, perfectly paired wine and impeccable service! I will definitely be spending more time at Longridge this summer for both their wine and fine dining! 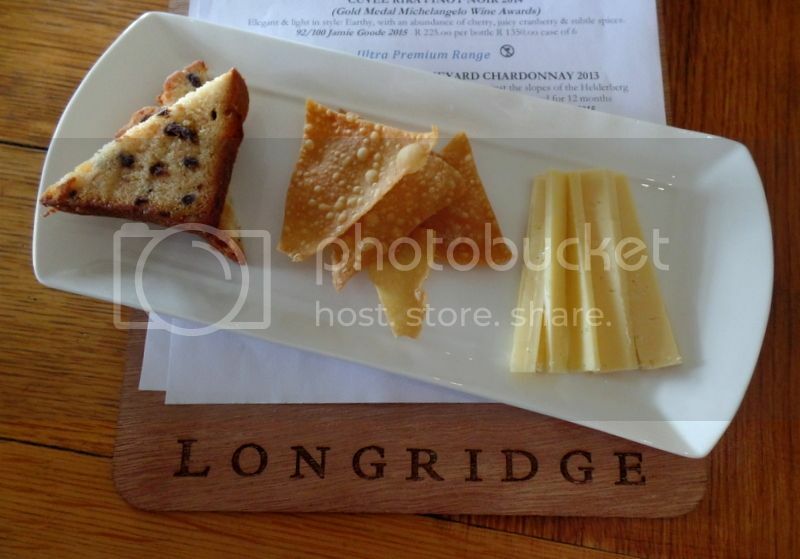 Note: We enjoyed our lunch and wine tasting as guests of Longridge however all opinions and images are my own. We purchased wine from the tasting room on our own account. So proud of Hayley and Jolandi our brand new team at Longridge. Thank you very much for the beautiful pictures and descriptions. Hope to see you with us again very soon!! !